Meeting once every three years, the World Energy Congress is the largest meeting of Energy Ministers, Utility Executives and Engineering Firms. 5000 top decision-makers from all continents convene to do business and plan our energy choices for the coming decades. 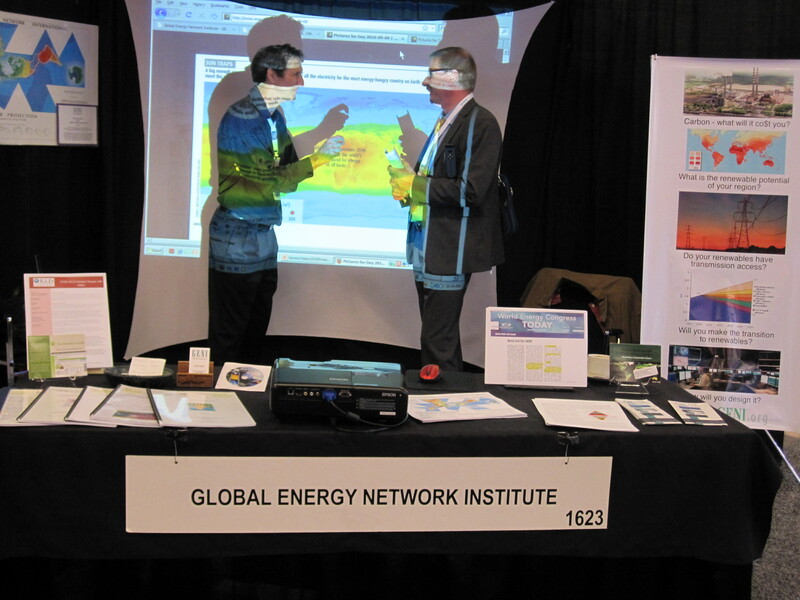 For 20 years, Global Energy Network Institute has exhibited – sharing the strategy of linking renewable energy resources between all nations. It's the opportunity to meet face to face with the key energy leaders from around the world. 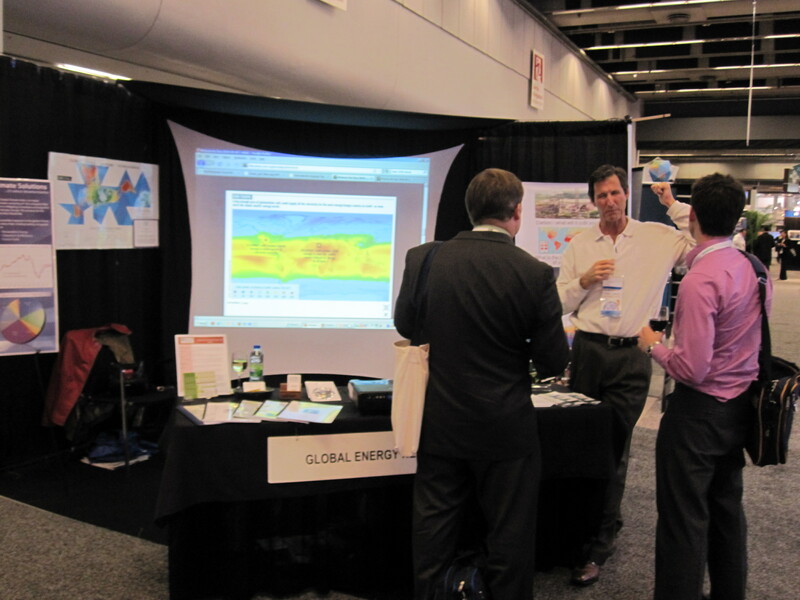 The GENI Initiative has been featured in the World Energy News. Now we are taking our "100% Renewable Energy Reports" for China, India, Korea and Japan – so they can assess for themselves the potential and urgency of making this transition to sustainable future. We will feature our new Report on the Sea of Japan transmission loop, linking Japan, South and North Korea, China and Russia. This is technically doable and economically viable – just hard politically. We invite your partnership. GENI is the only U.S. exhibitor, which enables us special attention. We plan to push, provoke, and promote this premier energy solution to all we meet. Please Contribute at a level equal to your vision. We acknowledge all Supporters and Sponsors. "The most thoughtful and scientific solution to the world's problems I've ever seen."